And that’s only a handful of festivals on offer! All these people endure heat, rain, dirt, crowds, and long hours of standing and dancing, whilst having the time of their lives. 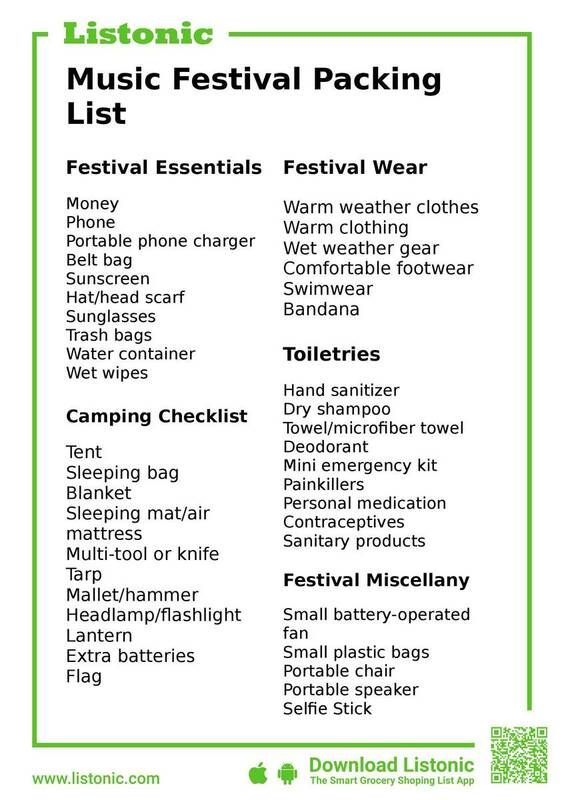 Despite all the craziness, many will prepare a festival checklist to ensure they have all the essential items before they arrive. This means they can maximize their time dancing and listening to great music, and not worry about whether they forgot anything important. 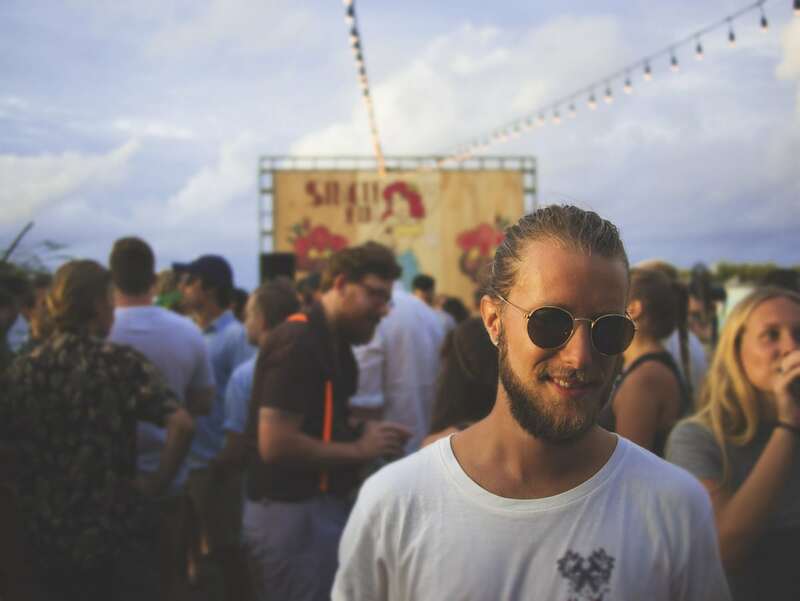 Whether you’re a first-timer or a regular festival-goer, this festival essentials checklist will help you sort out everything that you really need to take with you. You can even skip straight to our free printable shopping list if you’re ready and raring to go. It may be just a couple of days and you might think that you don’t need that many things on your music festivals packing list. But let’s start with the absolute unmissables on your festival packing list: money and a mobile phone. You’ll need money to buy food and beverages, and a phone to keep in contact with your friends. Let’s focus a bit more on your mobile phone. Apart from being contactable, another purpose of bringing a phone to a music festival is using the internet to post pictures on social media, use messaging apps, or simply check the weather. For this, you’ll definitely need a smartphone. But you may want to get an old or cheap phone instead. The big advantage is that it’s not a big deal if it gets lost or stolen. Plus, these tend to have longer battery life. Either way, you should take a portable phone charger. Most festivals are in the middle of fields, or even deserts, where there’s nowhere to charge your phone. Whilst some festivals do have phone charging points, it’s likely you’re going to need to wait in a long line to charge your phone at these, which means missing out on the music. You can pack all of the above in a belt bag which will keep both your money and your mobile safe and in easy reach. 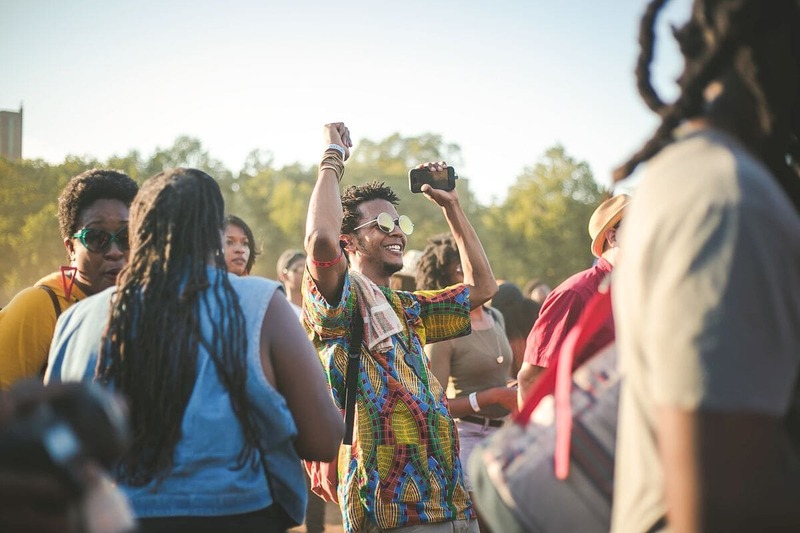 Other things on your festival checklist should include sunscreen, and a hat or a headscarf, to keep you safe from the sun, especially if your festival takes place during the summer. Even if it’s not too sunny, dangerous UV rays can still penetrate clouds and give you uncomfortable sunburn and put you at risk of heatstroke and skin cancer. Better to be safe rather than sorry. You should take sunglasses as well. This will help you watch your favorite bands without having to squint on brighter days. Water bottle – bottled water may be expensive in a festival area but tap water is free. Wet wipes – a must! This may become your emergency shower and can make using portable toilets a little less unpleasant. If you’re not planning to sleep at a hotel while being at a music festival, you’ll most probably be camping. And why not! 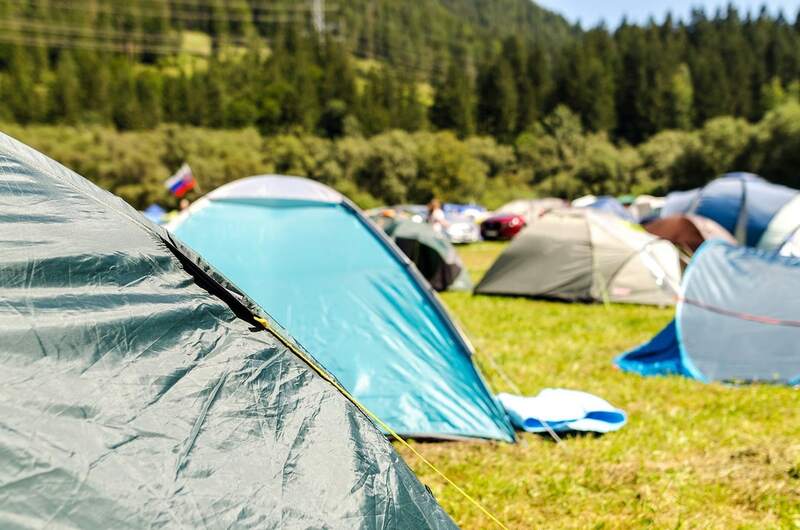 Not only does camping keep you on site and close to the center of all the action, but it also plays a huge role in creating that alluring, magical atmosphere of outdoor festivals. That’s why it’s so important not to leave anything related to camping off your music festival packing list. The most important item is a tent. Choose the one which has enough sleeping space and a place for your backpack and other necessities. The next thing you absolutely can’t forget is a sleeping bag. Depending on the location of a festival and its typical temperatures, choose a sleeping bag that will keep you warm enough at nights, as these can be surprisingly cold especially during late summer. You may also take a blanket with you for extra warmth and comfort. We bet you don’t want to catch a cold because of sleeping on the bare ground. Not to mention the grass isn’t as comfortable to sleep on as it is to sit. So, take a sleeping mat, or an air mattress to make it comfier. If you’re taking an air mattress you’ll need to take an air pump as well. You’ll also need to spend time inflating the mattress instead of enjoying the festival, and if you get a puncture you’re back to sleeping on the cold hard ground unless you have a puncture repair kit with you. A multi-tool, a knife, and a tarp are also good to have, as sometimes you need to prepare the ground before pitching a tent. A mallet or a hammer will also help you with pitching a tent. Now, imagine the nighttime and the complete darkness. You’re tired and maybe a bit worse for wear, but you want to find your pyjamas, your bottle of water, or even your teddy bear. Or maybe you just really want to get inside your tent as quickly as possible without too much tripping up, stumbling, or even getting into the wrong tent! A headlamp or a flashlight makes nighttime at music festival much easier. What may turn out extremely useful is a camping lantern which you can hang up in the middle of your tent ceiling. It will provide the light for the whole tent and will free your hands from holding a flashlight. It may be a good idea to take extra batteries with you just in case your lamps and lights go out unexpectedly. TIP: You can create your own lamp by sticking a flashlight on the side of a large bottle of water. The water will cause the light to be scattered. One final item for your festival checklist when camping is a flag. This will help you locate your tent among thousands of others. But make sure it’s distinctive and recognizable. 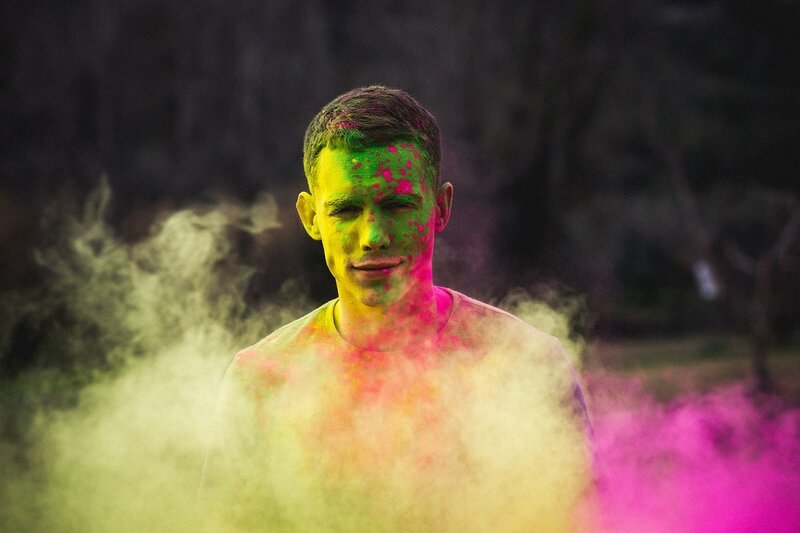 Although festival season is in summer, we all know that the weather can be unpredictable even at the best of times. First of all, be prepared for hot days by packing warm weather clothes, such as shorts, t-shirts, tank tops, and dresses. But forget about playsuits. They might be fun and comfortable but can be bothersome and embarrassing when having to answer a call of nature! Also pack some warm clothing, such as a long-sleeved sweatshirt, long trousers, a hoodie, or a sweater. Don’t assume that because it’s summer it must be warm. Sometimes it gets cold, especially at night. But don’t forget about the rainy moments either. Be sure to pack some wet weather gear, such as a raincoat and rubber boots. These will keep you dry and make you laugh in the face of any mud. You could even make do with bringing some disposable ponchos if you’re worried about packing space, as these are lightweight and don’t take up too much room. 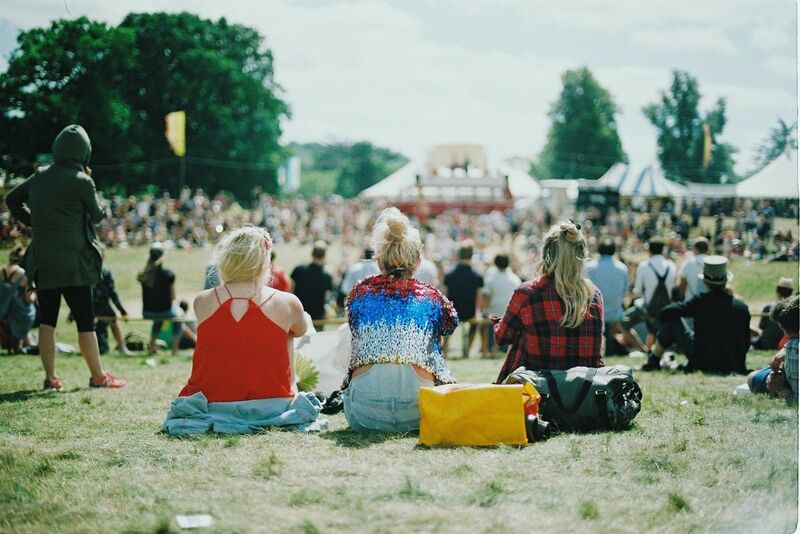 Also, make sure comfortable footwear like boots, trainers, flip flops make it onto your music festival packing list. But make sure they’re ones you don’t want to get ruined. They’re honestly not going to look too good after a festival. Swimwear is useful when you’re having a shower (if possible) and when it’s too hot to wear any other clothes: which is totally acceptable at music festivals! TIP: Take a bandana and wear it on your head, your neck, or your wrist, so you can tie it around your face whenever there’s too much dust and you need to make an impromptu air filter. Be sure to put together a bag of your toiletries and any medication essentials for your music festival packing list, but only in sensible amounts. Hand sanitizer and dry shampoo – may only temporarily help you to stay clean but you’ll be glad you have them, especially if access to showers is hard or non-existent. There’s so much to do and to see, not to mention the lack of facilities to clean your hair and body properly. You should buy the mini versions of your favorite products, or simply decant them into small empty containers similar to what you can buy to take liquids through airports. Don’t forget your shower essential: a towel. To save space in your backpack, you can take a microfibre towel. Not only is it thin and light but it also absorbs more water than a regular towel and dries quicker. And it’s so soft! What about basic first aid at music festivals? You can easily buy a mini emergency kit which will provide you with all the basics for small injuries and accidents. It’s also a good idea to pack some painkillers for minor ailments. Plus, don’t leave any personal medication off your festival essentials checklist. Contraceptives – both men and women should take them. Even if you don’t plan to make use of these, sometimes the unexpected can happen. Condoms are highly recommended as not only do they prevent pregnancy, but they also protect you from catching STIs. 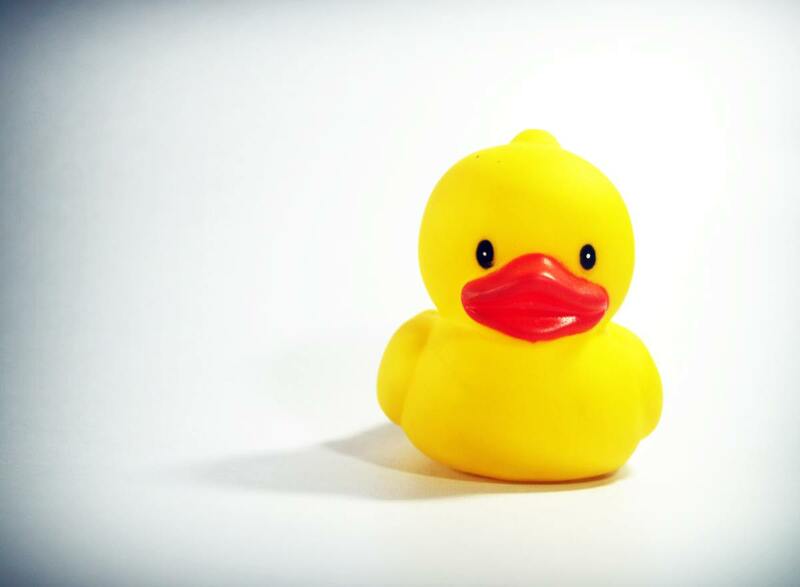 Small plastic bags – protect your phone from liquid substances. You may also put your accessories or other tiny things inside these to keep them dry and in one place. There you go. 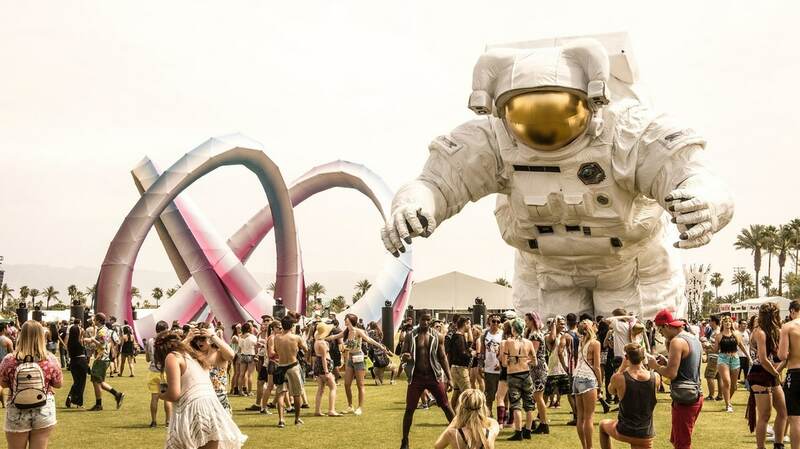 Your music festival packing list is ready, and so are you! You can check out the list below or download a free printable version. Depending on your needs, you may prefer to take fewer items with you. What would you add to the list? What will you leave off? Have you ever used a microfiber towel before? Let us know in the comments. Previous ArticleChristmas Food Shopping List to Make Your Xmas XcellentNext ArticleHealthy Grocery List To Kick-start The New You!